The track (which is included as part of the Bonus Audio for Pipes of Peace) features previously unheard vocals by Paul and Michael Jackson, with the parts they sing on the original swapped in position in a remix by Mark ‘Spike’ Stent. The original (remastered) version is still included on the main album CD and vinyl. The press release says: “32 years after the original release, fans….have….a completely new mix of the track, prominently featuring alternative vocals from Paul and the late Michael which have never before seen the light of day. This version came about as Paul worked on the next stage of his extensive reissue collection – the Grammy Award-winning Paul McCartney Archive Series – earlier this year. 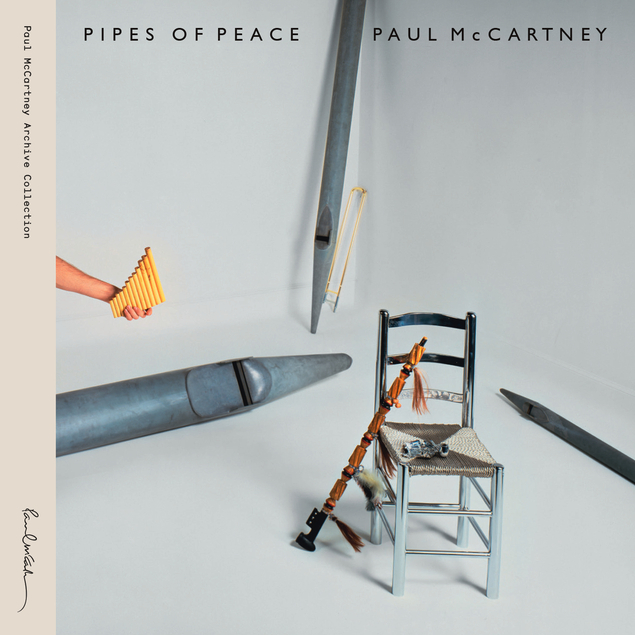 While working on the remasters for 1983’s Pipes Of Peace album and accompanying bonus material at Abbey Road Studios in January 2015, Paul was listening to an instrumental remix of ‘Say Say Say’ by DJ John ‘Jellybean’ Benitez when he recalled there were unused vocals. The original multi-track masters were located and Paul’s Chief Engineer at his studio in Sussex, Steve Orchard, along with Paul fused the unheard recordings to the Jellybean mix. This entry was posted in Beatles, Beatles Collecting, Beatles Music, Paul McCartney and tagged Beatles, Beatles Collecting, Paul McCartney, Pipes of Peace, Say Say Say Remix, Say Say Say Video by beatlesblogger. Bookmark the permalink.